Red Flaming Skull Long Sleeve Shirt | BUDK.com - Knives & Swords At The Lowest Prices! 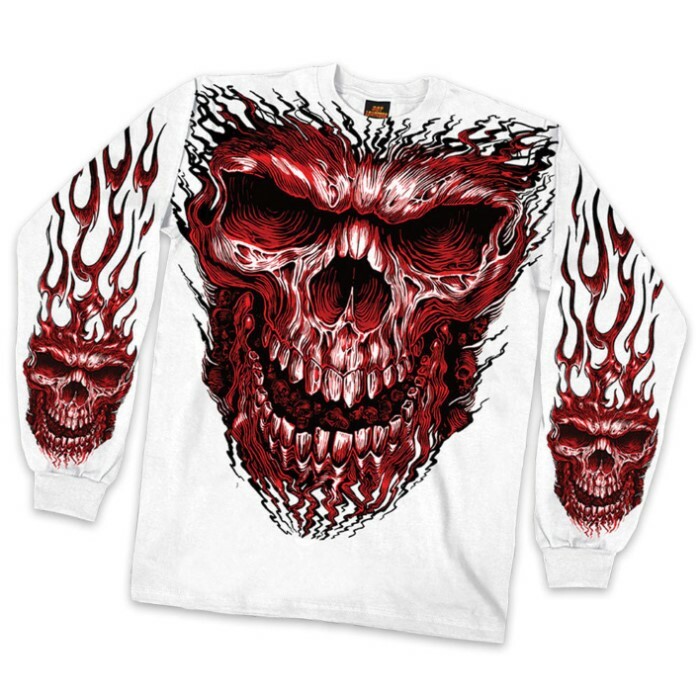 Show off your own distinctive style with this brand new Red Flaming Skull long sleeve shirt. It feature eye-catching artwork depicting a red flaming skull on the front of the shirt and on the sleeves. Long sleeve. Sizes L-2XL.